Marc Rambeau has been exhibiting in Australia for over twenty years and is known for his landscapes that radiate vivid colour with paint applied in a thick impasto. In all of Marc’s paintings there is a vibrancy of movement and light within the picture plane, a heightened colour palette and always a sense of freshness and vitality. 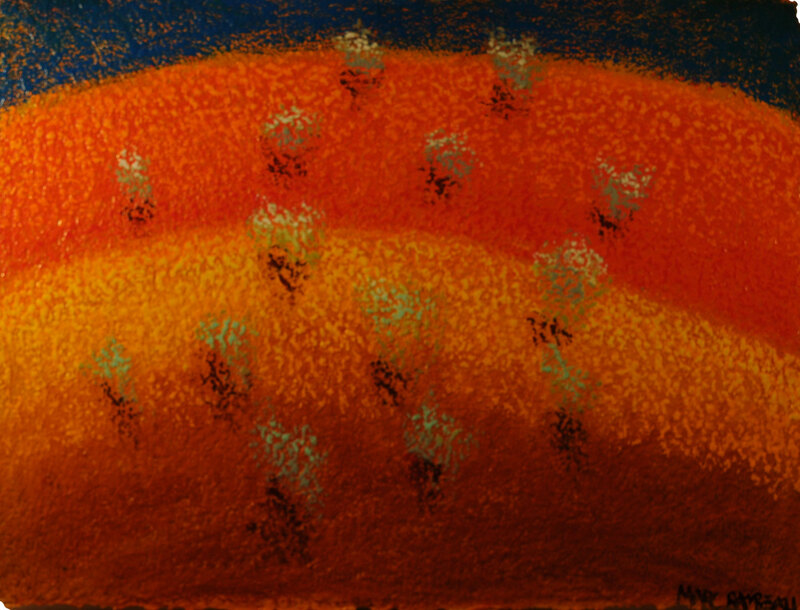 The latest series of works are no exception, based on a trip to the Flinders Ranges in South Australia, Marc explores the dramatic changes of light and the different perspectives of the landscape forms. 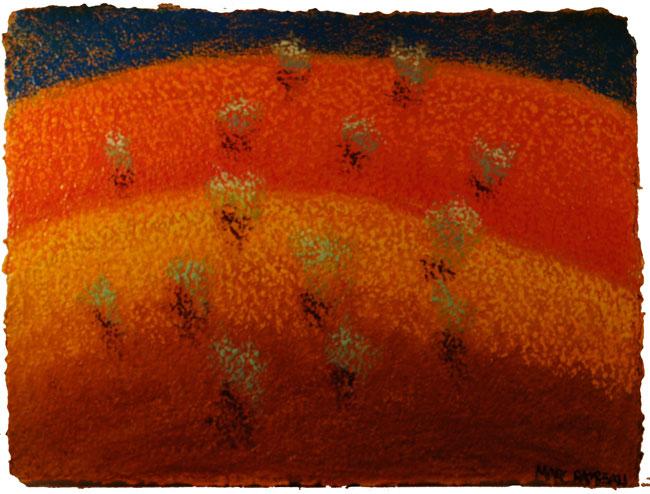 His use of rice paper on linen as his canvas is a rare technique, with the distinctive creases perfectly evoking the rich texture of Australia’s drought-affected terrain. This Chinese technique, very rare in Western paintings, also allows Marc to simultaneously create a landscape that is both subtle and bold. 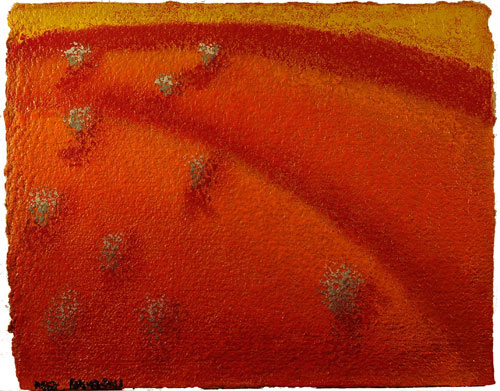 Central to Marc’s paintings is his courage to embrace change, and over the decades he has navigated his subject matter effortlessly from Pacific island figurative paintings to Parisian sketches; Beijing street scenes to his Flinders Ranges landscapes. Through this varied and active art practice, Marc has consistently maintained a firm and controlling vision, a vigorous visual language in which all the colour, sensuality and diversity of life is positively celebrated. Born in France, Marc Rambeau studied art at the Villa Thiole (French School for Visual Arts) and at the National School for Arts Decoratifs in Nice, France, from 1961 to 1963. In 1964, he joined the Robert Boell Atelier in Toulon where he continued his studies. 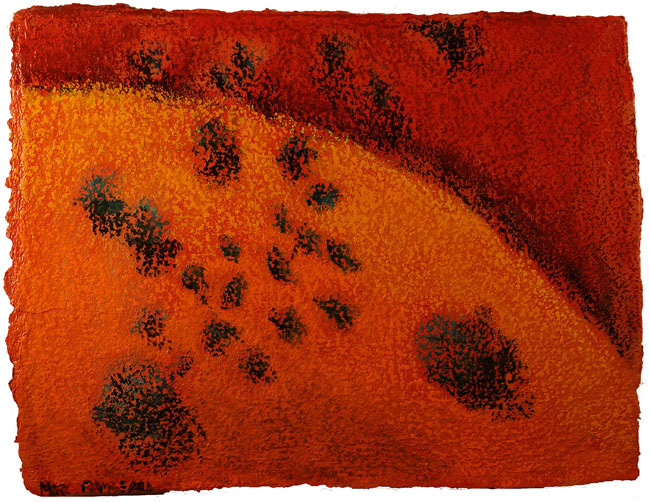 From 1968 onwards, Marc’s work took him to the South Pacific where he lived in New Caledonia, Tahiti, New Zealand and Chile until he took up residence in Australia in 1985. Often described as a nomadic artist, Marc continues to travel and exhibits regularly in Singapore, Hong Kong, Paris, Tahiti, Noumea, New Zealand and Australia.